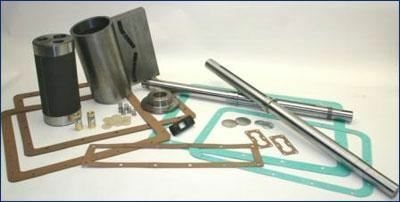 We stock and supply spare parts for all leading brands of vacuum pump. We can usually source that difficult to obtain or obsolete part. The spare parts we supply have been sourced over many years from around the world, and can usually be supplied at considerably less cost than from the OEM supplier. If you need spare parts for a particular pump then we can supply just those spare parts, rather than as is often the case a full spares kit, much of which could be surplus to requirements. Whether you need a full spares kit, a few gaskets or 'O' rings, a couple of filters or major mechanical items contact us and we can invariably offer a solution.